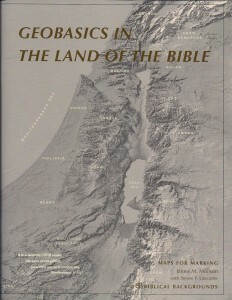 The two main products that Biblical Backgrounds sells are Geobasics in the Land of the Bible and Regions on the Run. Geobasics (GB from now on) focuses on the specific geography, geology and geomorphology of the land, while Regions on the Run (RR) looks more at historical events and puts them into the context of the greater region. The latter also uses a number of Regional Study Maps (RSM) — well made topographical maps of various segments of the region, and which may be purchased separately or packaged with RR. Both books come with free textbooks available on the Biblical Backgrounds website in PDF format — books which offer most of the background material and all the activities to do in the two main books. As I mentioned in my last post on how I’m preparing for the tour guide licensing exam, I think that a key to truly understanding this country is a solid knowledge of the geography here. With that knowledge, for example, you can understand why specific events took place in certain areas or why certain cities became more important throughout history. GB is an excellent tool to help you reach this goal. 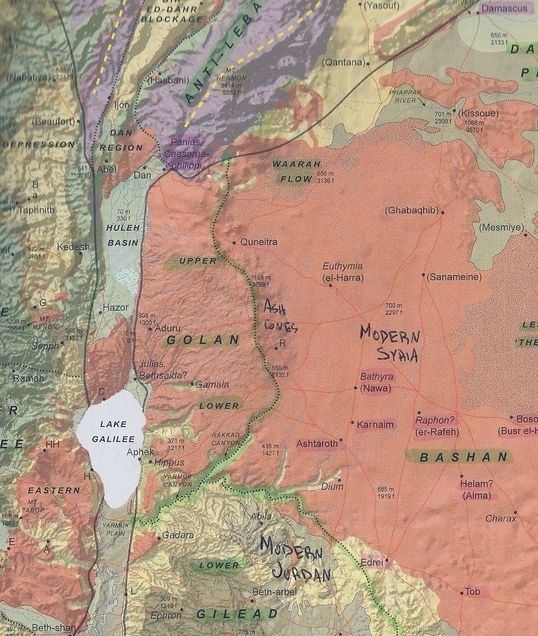 It features 11 full-color maps in high quality and detail, focusing on the topography, geology and soil in the various parts of Israel. The free, online textbook is 201 pages, and features a wealth of information. The core of using this material, however, is working through the many interactive activities in which you mark up the included maps, highlighting certain things and writing in other bits of text. The maps won’t look vastly different when you are done, but the tasks force you to more actively move through the maps, looking for certain things, and better understanding how various parts connect to each other. So while it is true that you can just download the textbook for free from the website and read through it alongside any map, you will not gain nearly the same benefits without using the GB book. This is because the activities are tailored to the maps they’ve included, and they have also left out certain things for you to write in and included others that might not be on every map. A piece of one of the maps from Geobasics, partially marked up by me. This is particularly useful for someone in the tour guide course. While we do learn the history of the ancient world that surrounded the birth of this lands history, and while we also often learn other events placed in the context of other events in the world, often times we are so focused on what took place here in Israel that we lose or forget that context. To me, this is part of the difference between memorizing and learning. All of this material for under $50 is, in my opinion, a bargain. The high-quality maps alone are worth a chunk of that money, and I actually used them by themselves for quite a bit of my preparation of the geography review document that I mentioned in my last post. The one caveat I would offer is that you need time to really make good use of these tools. There is a lot of material here and plenty of activities on all of the maps. So while there is a shorter version of the textbook, and while you can skip around and not do everything in the books, it still takes a lot of time if you want to make full use of the materials. Bottom line, there are many amazing books and study aids out there. This is just one (or a few, actually) of them, but I highly recommend the Biblical Backgrounds materials for anyone in the Israeli tourguide course, or anyone who just wants to gain a better understanding of the land and history of Israel.